Welcome in our Online Shop! 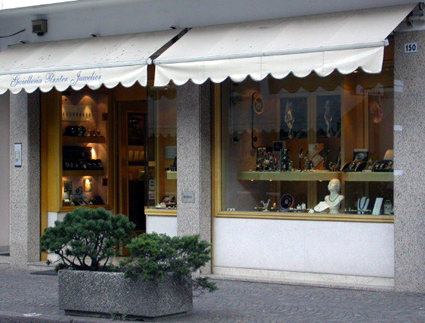 You can also visit our Shop in Via Kennedy, 154 in 39055 Laives (BZ) ITALY! We are official retailer of HARLEY DAVIDSON by BULOVA, BULOVA, BROSWAY, CITIZEN, DIESEL, GREENTIME by ZZERO, PHILIP WATCH and POLAR. Our opening times: MONDAY to FRIDAY 8.30 - 12.00 a.m. and 3.00 - 7.00 p.m. / SATURDAY 9.00 - 12.00 a.m. / We ship from monday till friday. Our payment methods in our Online Shop are PayPal and International Banktransfer. Cash on delivery is possible only for italian shipping addresses. IMPORTANT: Please include your order number on any payment! The content of the descriptions of our products has been carefully controlled. We assume no liability for the content of external links. For the content of linked pages are responsible exclusively their operators. The articles and their descriptions have been carefully checked and they are based on information available to us from our suppliers. Nevertheless, we can not accept any responsibility for typographical errors, mistakes and technical changes. All articles and images are copyrighted. Copies only with permission.